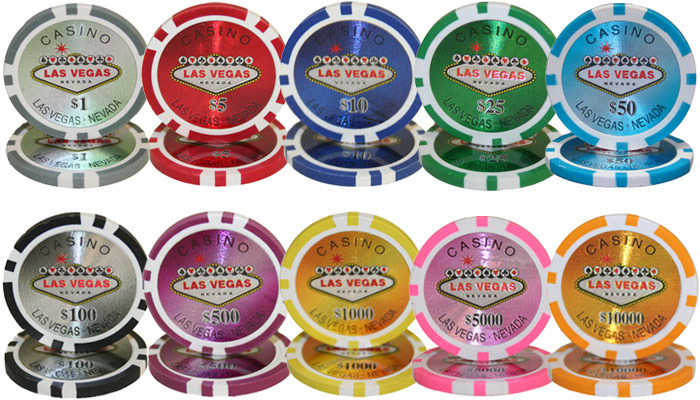 This is our Las Vegas laser graphic poker chip set. 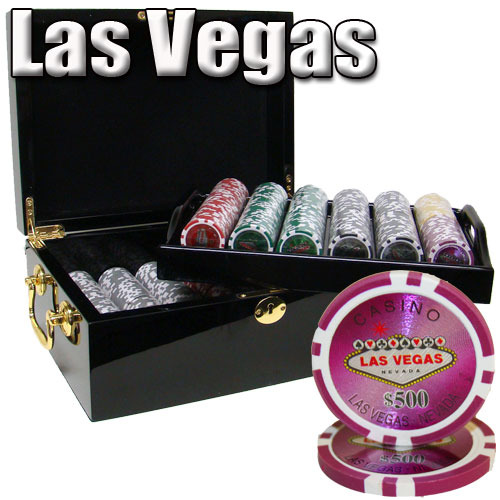 This set includes 500 clay composite casino grade poker chips in a heavy duty black Mahogany case. 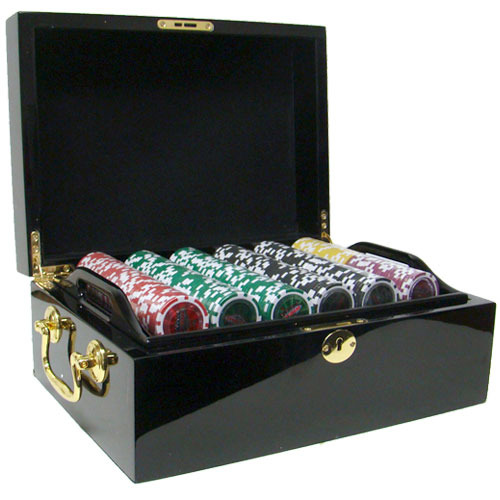 The set also features a dealer button, and a deck of playing cards. Each chip contains a laser graphic inlay. Each case also comes with keys to lock the case. Our sets are packaged in styrofoam to ensure safe shipping! This product is customizable by selecting 500 of the following denominations. 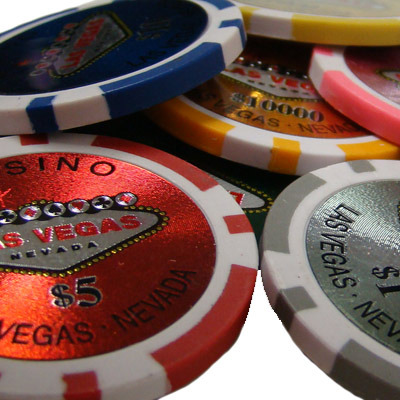 The customization is performed at the checkout page by entering your quantity choices for each denomination to a total of 500 chips. Enter your choices in the Special Instructions box. The deminations available are $1 - $5 - $10 - $25 - $50 - $100 - $500 - $1,000 - $5,000 - and - $10,000.